Rutter's Chocolate Peanut Butter Milk. A pair of Pennsylvania dairy farms will celebrate National Peanut Butter Day on Saturday with limited-time releases of products for the occasion. 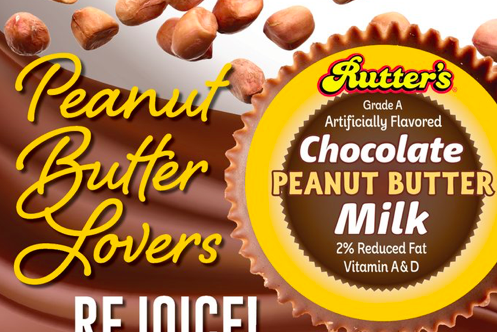 Rutter's, based in York County, and Turner Dairy Farms, of Pittsburgh, will each sell chocolate peanut butter milk at their own locations and other markets where they distribute regionally. The companies promoted the products on Twitter. Both of the companies opted for artificial peanut butter flavoring, though they typically lean toward natural ingredients. Getting your hands on the Rutter's milk may be a challenge in the Philadelphia area. While the store is selling the milk at all 73 of its locations in central Pennsylvania, Maryland and West Virginia, there's only one place within an hour of Philadelphia that might be likely to carry it. That would be the Countryside Market and Deli in West Chester, 610 S. Bradford Ave., if you're willing to make the drive to try this. You may want to call ahead to check their stock. Otherwise, there are a million ways to celebrate a day dedicated to peanut butter — and they're all good.